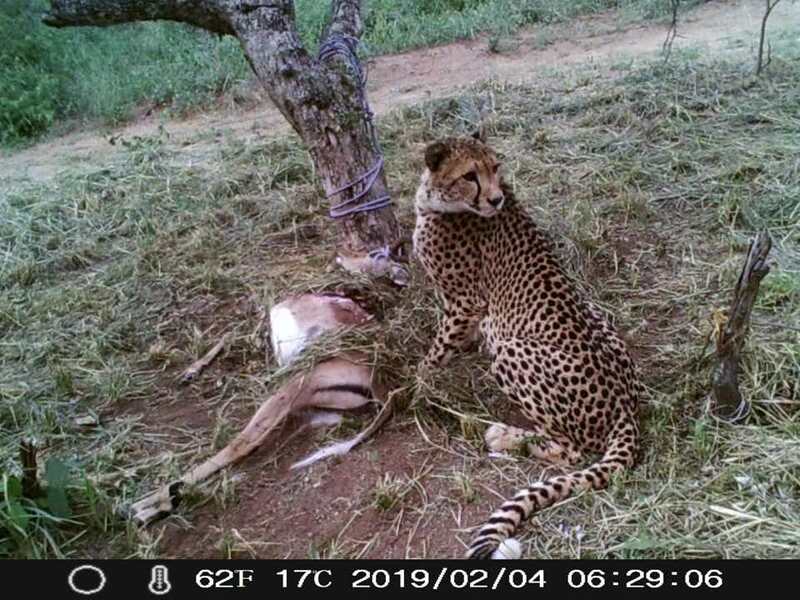 On the 29th January 2019, HESC released a captive-bred female cheetah named Tilla into Pidwa Wilderness Reserve. We have a positive update from Katie Rooke, who has advised that Tilla is doing exceptionally well, and has been spotted on numerous occasions. She seems to be using the central area of the reserve, and not seen as much around the fences. 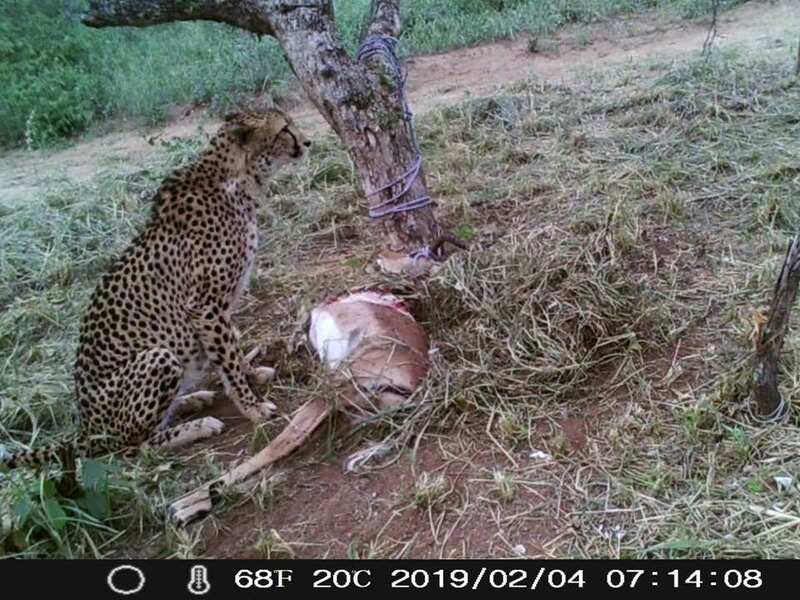 A day or so after her release, an entire impala lamb was left for her to discover, and the reserve had a camera set up to watch her movement and reaction to the find. Her natural instincts came into play, which we were amazed to see. She first spent two hours eating part of the ribs as well as the rump of the Impala, and after that visited the carcass on numerous occasions to snack on it. Soon she tried to drag it way, but we had tied it to the tree to be in the frame shot of the camera. So, instinctively she covered it completely, using only grass. Here actions were an excellent sign for us, knowing that she has the natural capabilities to create solutions to a unique situation that she discovers herself in. At this stage, (phase one of her release), we are very positive that she will be able to progress to phase two with ease. However, nothing is for certain with nature, and we will continue to update you. Thank you to Katie Rooke and her team at Askari Wilderness Conservation Programme, for keeping us updated daily.